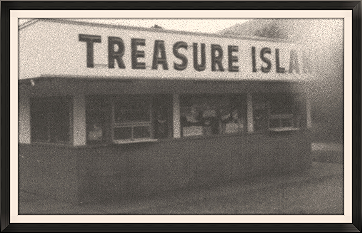 Treasurer Island was famous in the 1960's for it's homemade soft ice cream. Located in West Bolivar along the Creek Road it was a very popular hang out for the local teen population. Although the ice cream stand has been closed for many years, the building still stands and is occupied by a private homeowner.